Jewelry is expensive, so instead of spending an arm and a leg on something sparkly to add to your look, why not add crystal hair barrettes? Each season, Zara churns out styling techniques that somehow just stick. This season, one of the standout items was these sparkly hair clips. Apparently, they are the only item you need to spruce up all of your oversize sweaters and statement coats. The good news is this festive accessory rings in at only $26 for a pack of six. Take styling cues from the site and wear multiple at a time or just one for a subtler, cheeky look. Whichever way you choose to slip them into your locks, it's safe to say this $26 will be more cost-efficient than any other crystal piece of jewelry, guaranteed. 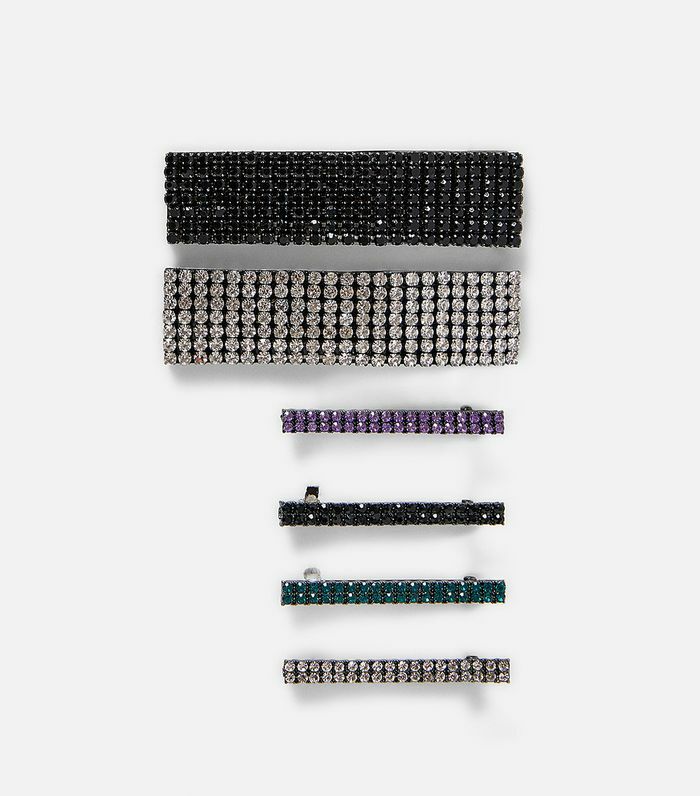 Below, shop the hair jewelry (aka sparkly barrettes) from Zara and see how the site is styling them. Next up, find out what "pyramid" heels are and shop our favorite pairs.